I know it’s an important point concerning the test of the Spartan Ultra. 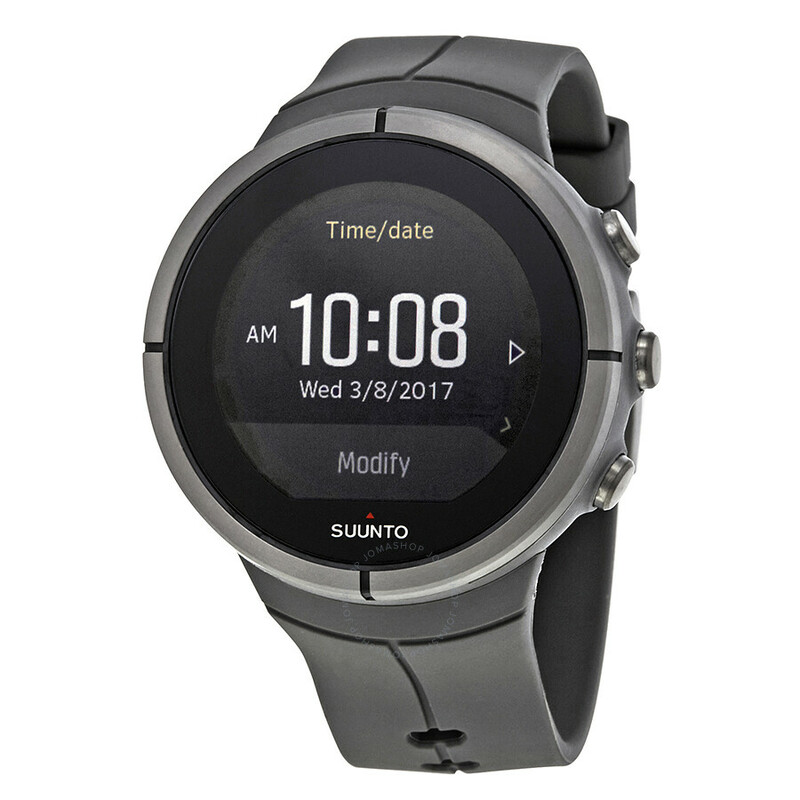 The Peak Ambit3 had excellent reputation at this level and many people feared that the disappearance of the bump at the base of the bracelet with the GPS antenna is the detriment of GPS accuracy. That is somewhat the case with the cross and theAmbit3 Vertical. When I tested the Spartan Ultra for the first time in Finland, I had brought my Fenix 3 HR. At the tracks of this first outing in the forest, we honestly can’t see any difference, what I found a bit disturbing, the Fenix 3 not having a reputation for being at the top of the GPS accuracy. On a round trip (because we missed a navigation trail), arguably the 2 tracks of the Fenix 3 HR overlap better than those of the Spartan Ultra. For this trip I was accompanied (or I was accompanying, as you wish) Valmente , which had brought his Sport Ambit3. And here, there is no doubt! 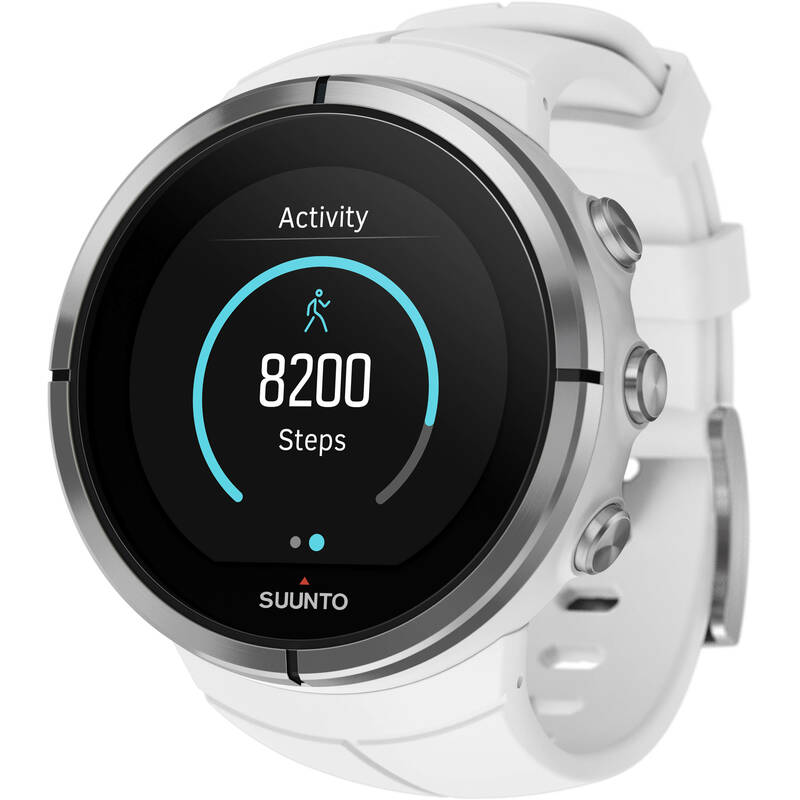 The Spartan Ultra is less accurate than the Ambit3, whose track much more finely follows the trail. But it was all with the first version of firmware. But I remember that at the time, the Spartan Ultra, initially released the 1ER August, had been extended by 2 weeks. However, in its marketing, Spartan Ultra version 1.1.24 is and you’ll see that it makes a difference. Now, the tracks are cleaner. Even in the city (good I grant you, Douarnenez downtown, it’s still buildings of average height). But here is another example, in Paris. The 2 watches have no problem to save a good route along military school, because the other side is fully open (this is the field of mars). But it’s a different story in the street of Laos. There, the buildings are higher and more narrow. 2 tracks deviate slightly from the route (common in town), but the Fenix 3 HR made a big difference at a time. Maybe the GLONASS could have avoided it, but for now it is not enabled on the Spartan Ultra. So I did a comparison in GPS mode only. 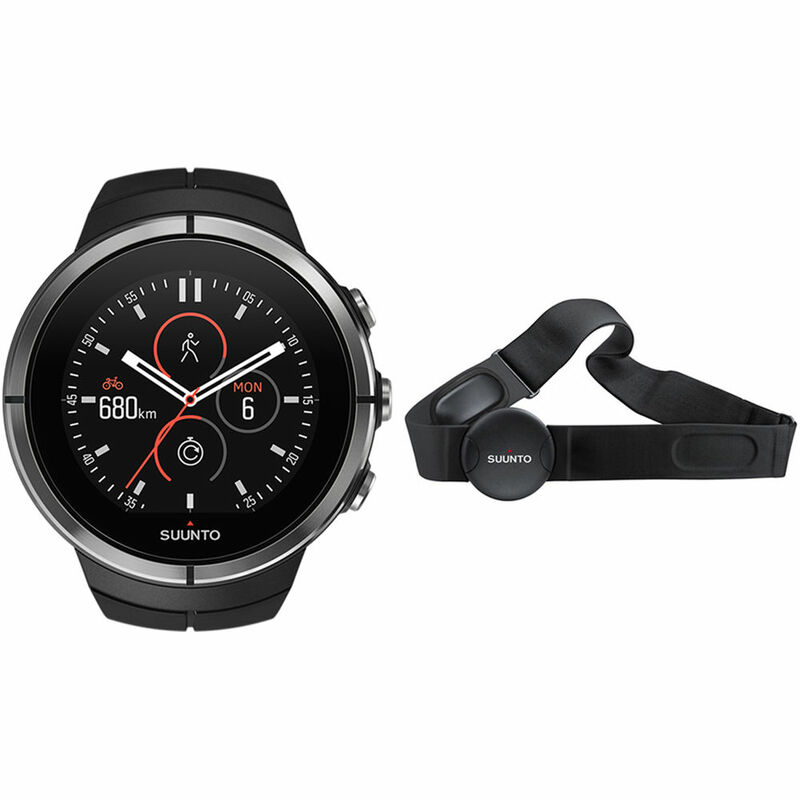 Also, the comparison with a trace of the Fenix 3 HR gives the advantage to the Spartan Ultra. In the example below, in the forest, I thought I was hallucinating: neither one nor the other seemed to follow the path. But in fact, if we superimpose a second track recorded by the Spartan Ultra, we realize that it is almost perfectly faithful to the first. I therefore assumed that the path as a track on the map no longer corresponds to the actual path. Advantage so the Spartan ultra level GPS accuracy. Another example in the forest. Top right, in the middle of the fields, all traces are accurate and the back overlaps of the go. 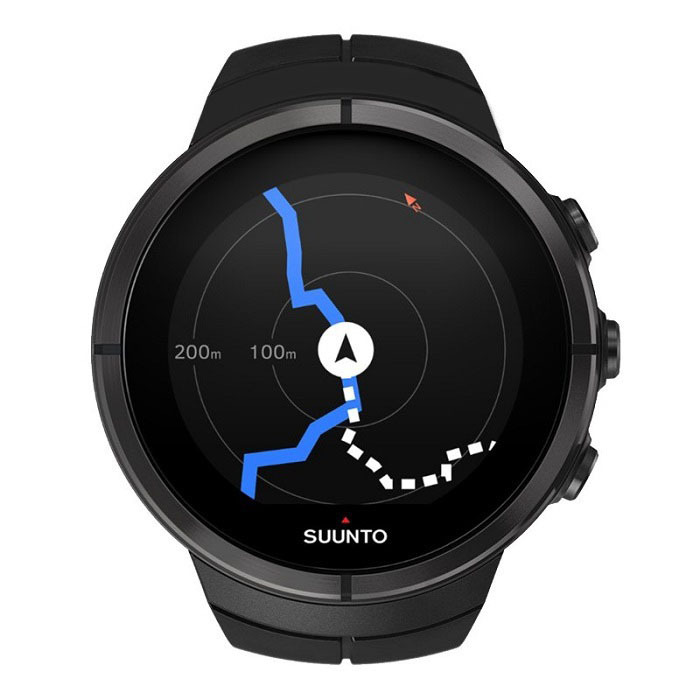 Vertical segment, with already a certain cover of tall trees, the trace of the Fenix 3 HR diverges slightly more than that of the Spartan Ultra. And return of the Spartan Ultra traces still overlap. I had noticed before even to download the move, watching live the navigation screen where track thumb back was perfectly overlapped with that of outward (the superposition of the dotted lines back and forth almost formed a continuous line). I still have an example where, on a long straight in the forest, the trace of the Spartan Ultra tack a little more than that of the Fenix 3 HR. However, on the first turn ultimately right, we see that it does not at all cut the turn. New illustration on a turn acute below (turn at the bottom of the image), where the Spartan Ultra is more faithful to my real journey. And if you look at an another long straight line, this time without difficulty (surrounded by fields and the weather), we see that traces back and forth of the Spartan Ultra overlap perfectly, while those of the Fenix 3 are slightly spaced (I said I ran on the same side of the road). 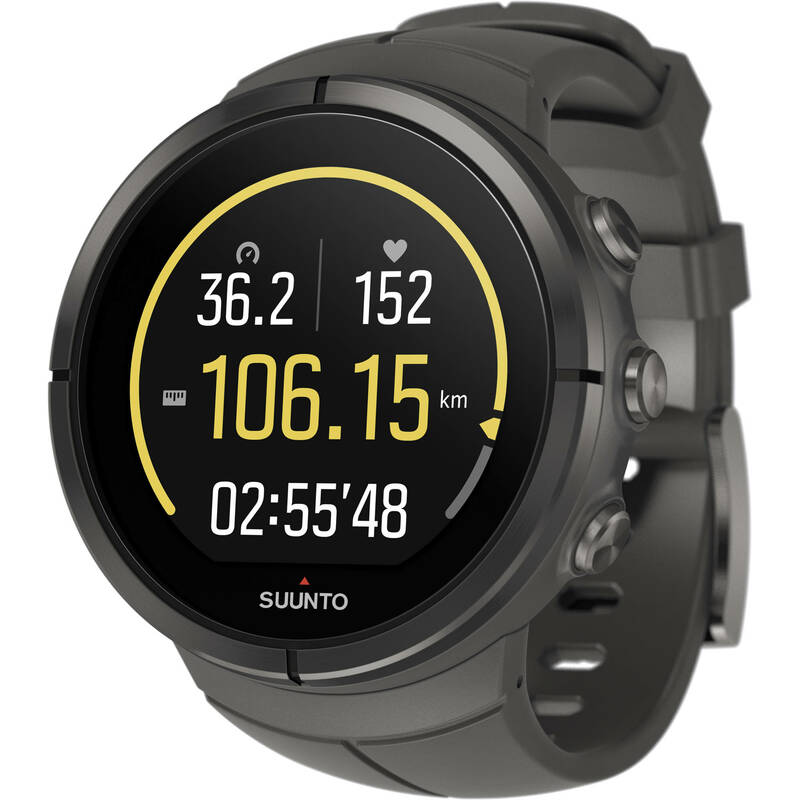 In its press releases, Suunto had announced a GPS accuracy equivalent to that of the Ambit3. I think we can say that the Spartan Ultra GPS accuracy is very good. 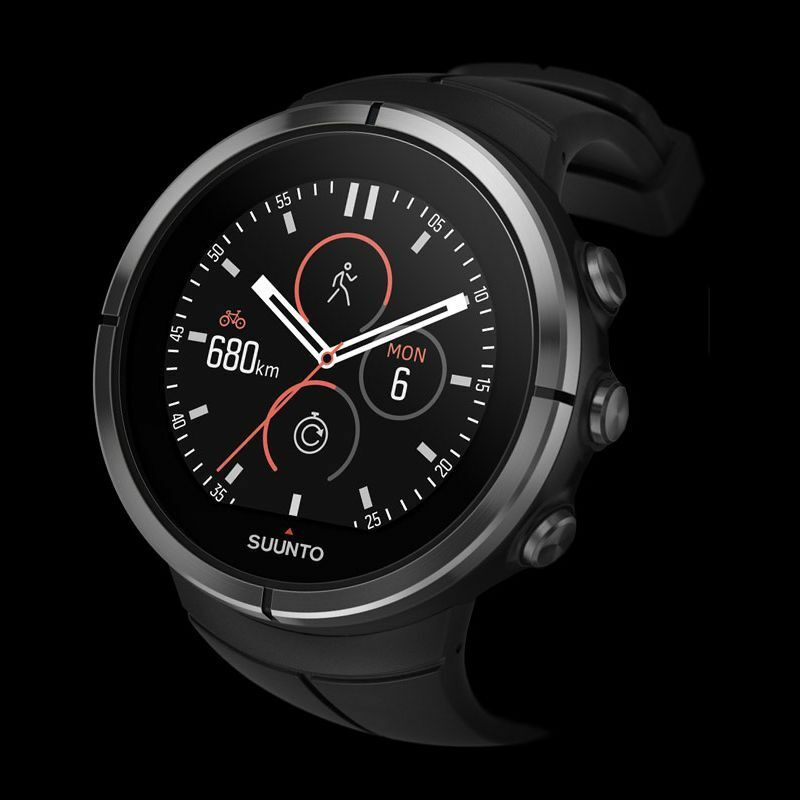 Better than that of the Fenix 3. 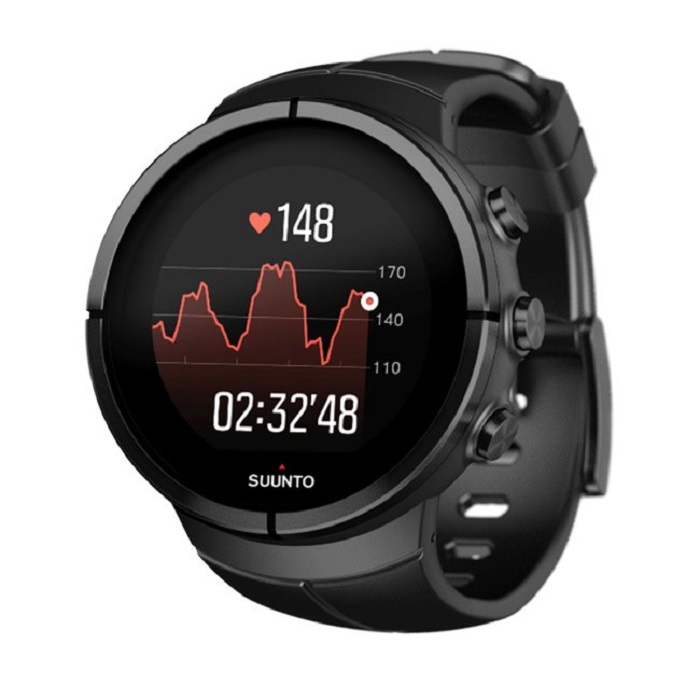 Maybe not as good as the Ambit3 Peak to see on other comparisons. Open water, I have only a trace saved with firmware 1.1.8 (there is an error in the calculation of the distance, which is 560 m in Movescount). I’ve lost 3 others due to a bug that was stopping in Movescount download and software updates that have erased the activity log. 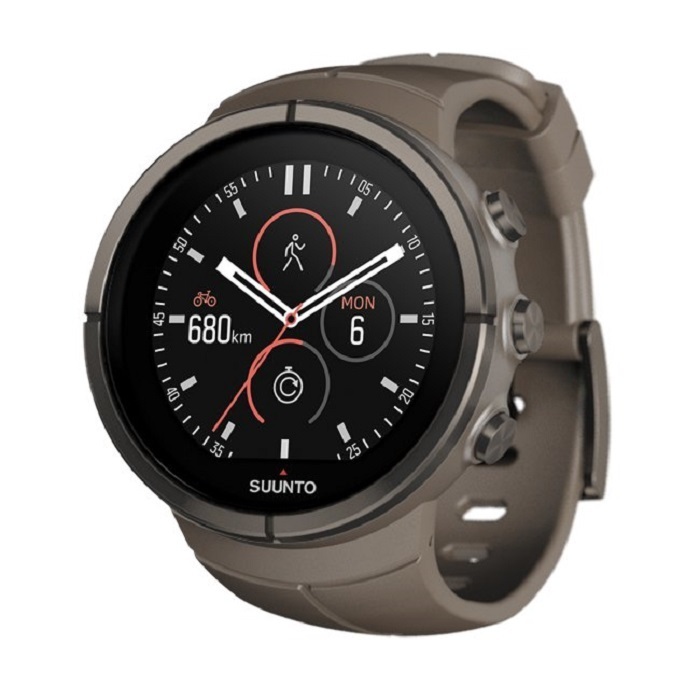 The Fenix 3 looks a little better. 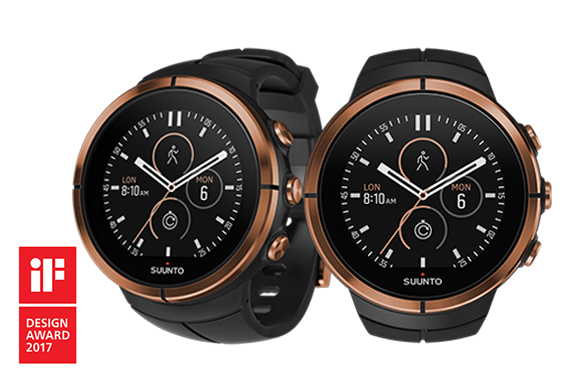 The case of the Spartan Ultra is 50mm (without buttons) is 1 mm less than that of the Fenix 3 fitness tracker, a major sports watch. 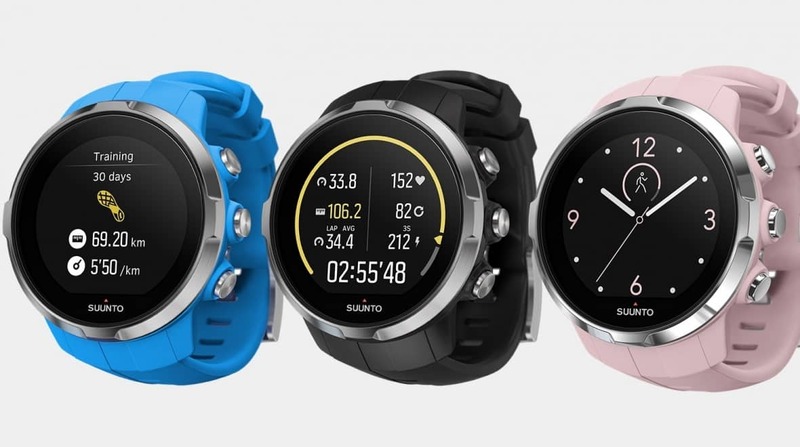 It’s funny, because when you see all the 2 side-by-side, we have the impression that it is smaller than the Fenix 3, whereas they are almost the same size. What gives that impression, they are researchers of the bracelet that are different. 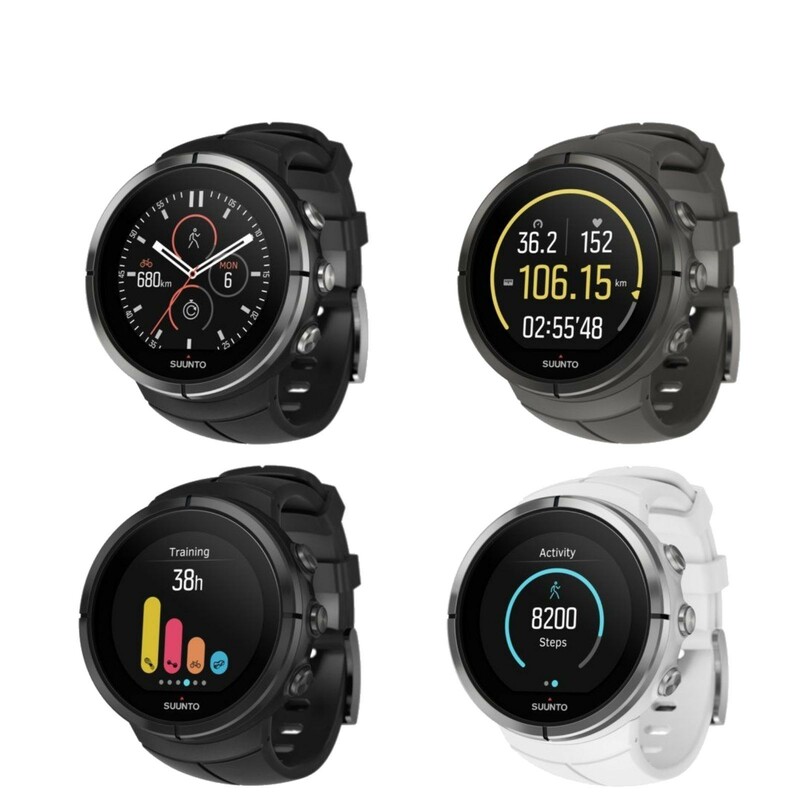 On the Fenix 3, they exceed more at the top and bottom of the case. The distance between the 2 axes of the bracelet’s 52 mm. On the Spartan Ultra fasteners diagonally, not go flat and the center distance is 47 mm. Seen like that, it makes a difference of 5mm. This difference is confirmed when the 2 to the wrist. The Spartan Ultra is more comfortable to wear and is quickly forgotten. Same advice for women (see Cécile RunFit& Fun). The only thing bad is supposed passersby 2 hold the bracelet length that exceeds the loop are too flexible and tend to walk (source on foot, by swimming, by wearing a jacket, etc.). Color touchscreen was advertised as a big highlight of the Spartan Ultra. The display is 35mm wide, Fenix 3 is 31mm. 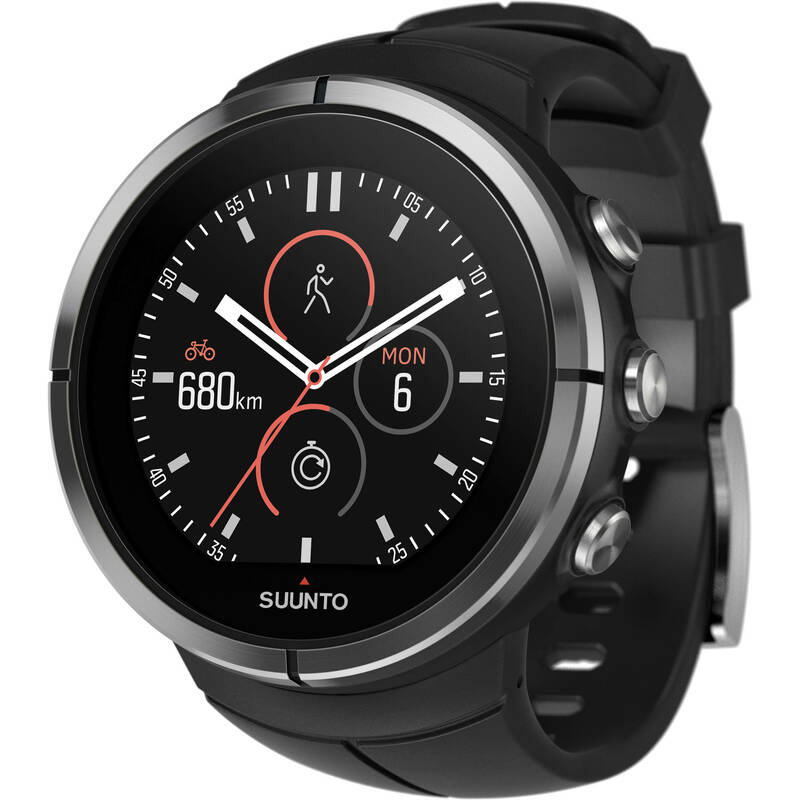 The resolution to surged, 128 × 128 pixels on the Ambit3, 218 × 218 on the Fenix 3-320 × 300 on the Spartan Ultra. 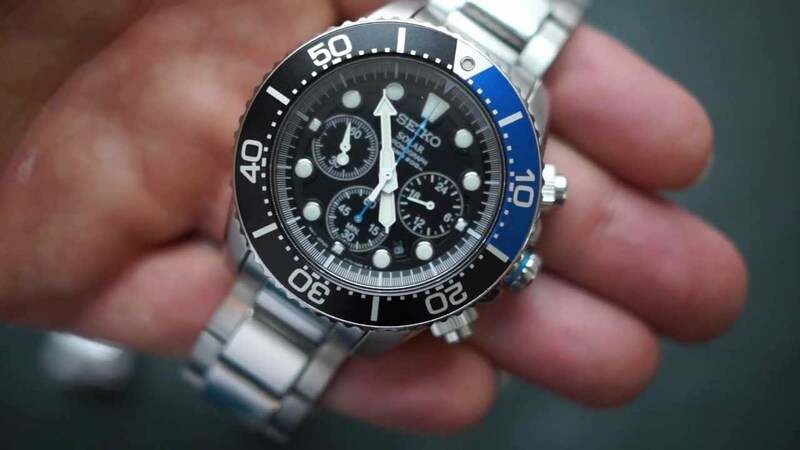 This resolution allows a better rendering on watchfaces with needles that are not pixelated. Color and brightness level, everything is super readable even in bright light. It is rather in the half-light that reading is a bit difficult. That’s why we can set up the automatic ignition of the backlight with each press of button. But on activities in the evening, it will likely turn on the backlight (to see this winter) all the time. Attention to the consumption of battery, but you can adjust the intensity of the lighting. Personally, I set it to 50%. In very low light, we can barely read the time on the Fenix 3 and not at all on the Spartan Ultra. Pictured above, do not rely too much on the relative brightness, I used an exposure time of 3 seconds on my camera. I was in a room almost in the dark. So don’t look at the absolute, but just the relative between the Fenix 3 screen and that of the Spartan Ultra. 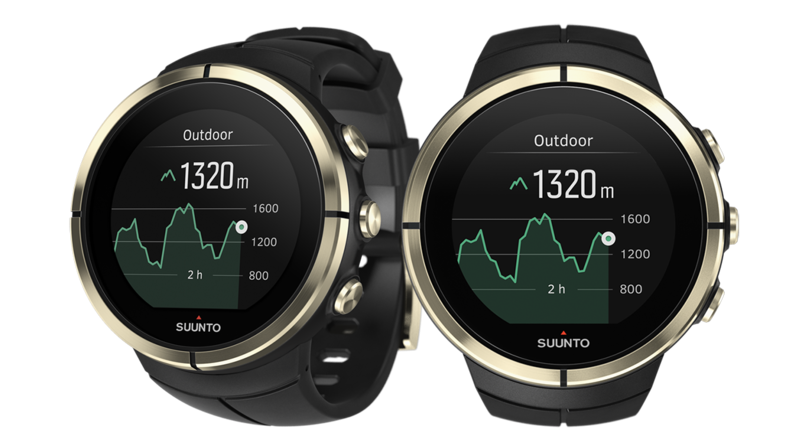 Suunto announced a touchscreen optimized for outdoor. I confirm, it works in the rain and even with a silk glove. The only complaint I have to him, it’s that much lag when navigating backwards in the menus. The touch screen locks after a certain time, press a button to turn it on again. 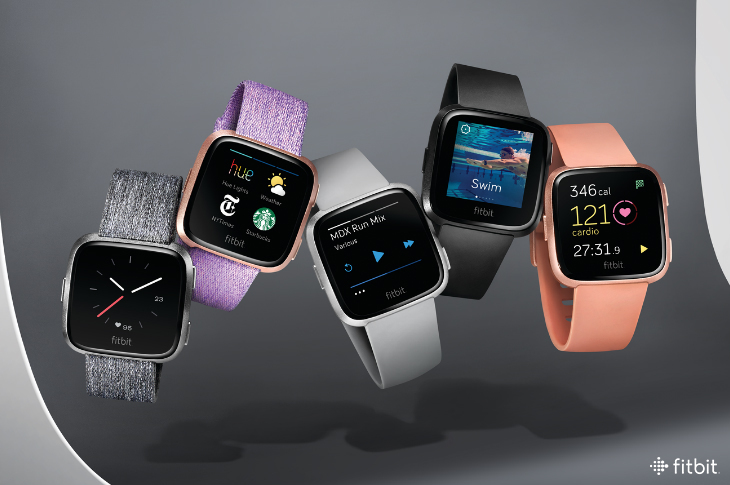 If the watch remains motionless, she goes to sleep and the screen turns off. 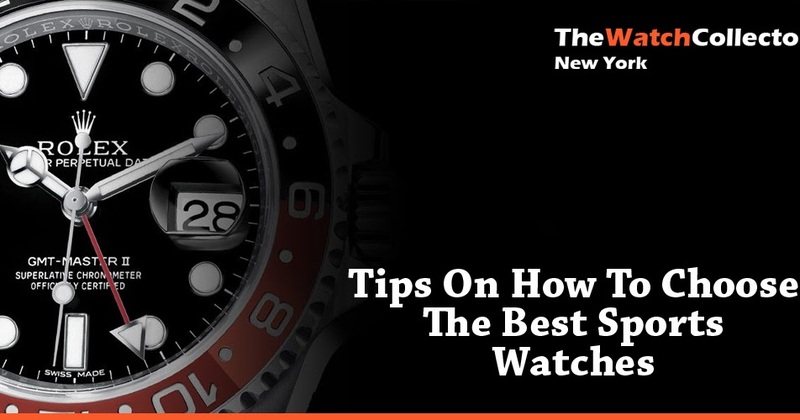 However, not possible to switch off the watch completely. The function of the buttons is more written on the dial. Sure, it would have a little swore on the simple lines of the Spartan Ultra. At the same time, there are more than 3 buttons, so everyone should get out. 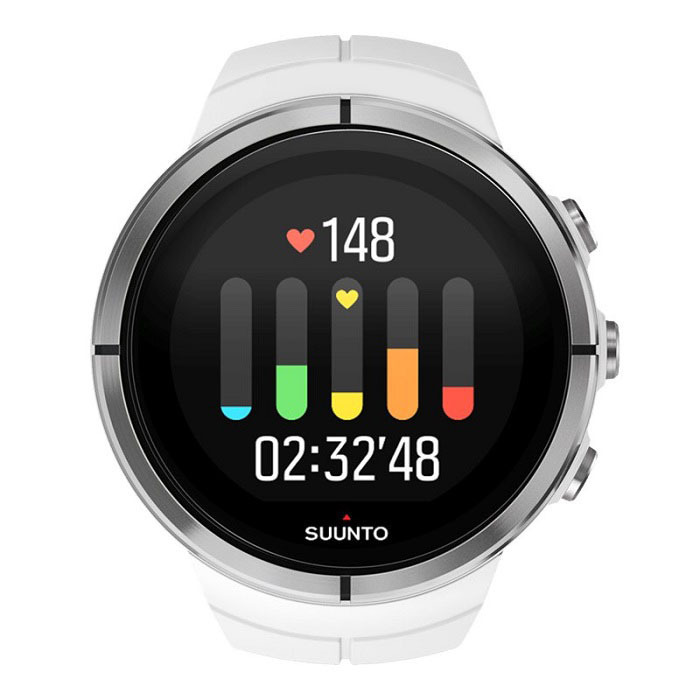 I have already spoken in my article back from Finland, the guiding idea of the developers of Suunto was not to overwhelm the user of statistics but that Spartan watches will join Movescount to form a ‘drive solution’. For me, this is the sense in which manufacturers should all head. 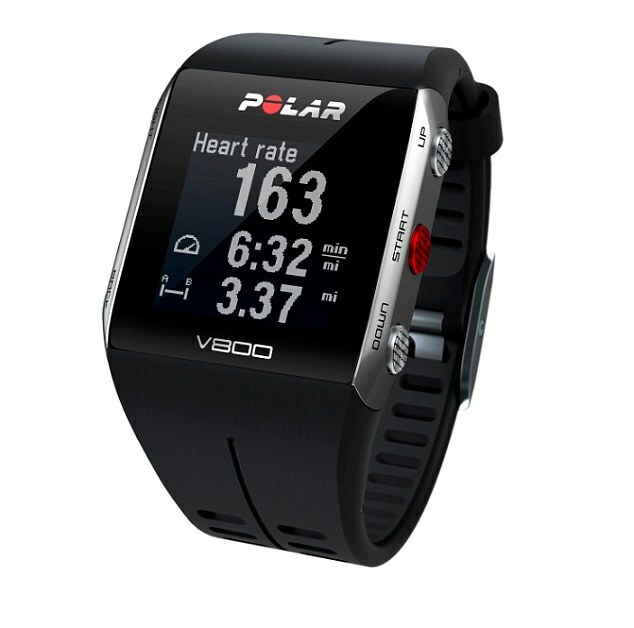 It is not any more in addition to sensors into sports watches, so that it is useful for getting results and not just spend more time looking at numbers and graphics. 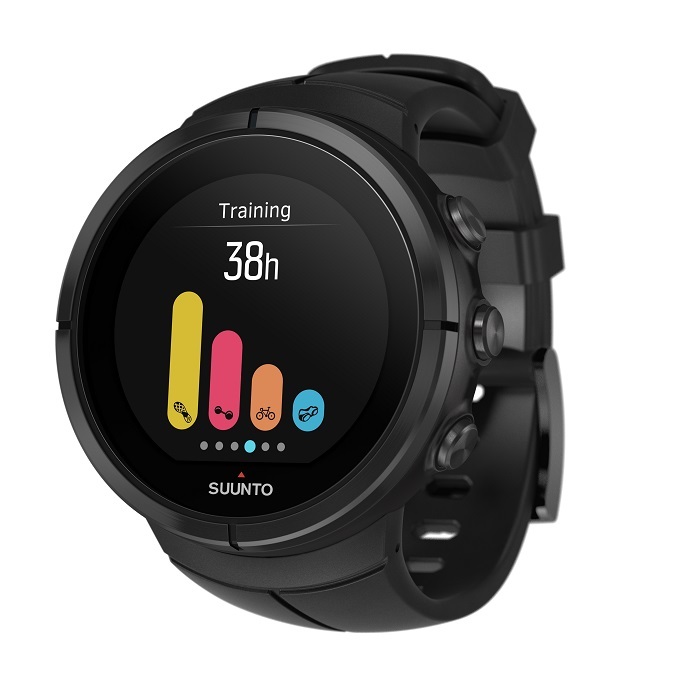 The idea of Suunto is clear: a complete solution (watch + software) to improve your training towards a sporting goal. Hey, that’s the idea. But concretely, today, everything is not yet implemented. With the version 1.1.24, was just a screen indicating the recovery time. If you string several workouts, recovery time will be combined. The activity log allows you to review a summary of each past activity page. Also, there is a screen that shows the distribution of your workout by sport (in duration and distance) profile histogram. Graphs showing the evolution over time of your personal records for each sport and different distances. A ranking of personal records from the users of same age group (like, in the 10 km race walk, you are among the best 20% of your age). A Visual on the training of people who have already met the target. For example, if you are looking to run a marathon in less than 3 hours (is it not solidarity Running ? ), you can watch how those who already do is train (how many hours of training per week, what type of sport, what kind of sessions, what intensity, etc).